Our purpose is to honor the healing needs of your family through gentle assistance, selection and customized design, creating a permanent tribute linking the past, present and future. A memorial, that stands as a silent sentry and is “ever vigilant”. We are members of the Monument Builders of North America and subscribe to the "Code of Good Practices" for reputable memorialists. We believe that good business is always fair business. Click on the links below for more information from the association. At Carroll Memorials we understand how important this selection process is to you. We don't have any staff members who are sales persons. We consider ourselves to be counselors and facilitators. You have determined what your need and budget is, we try to help you satisfy that need. As a full service monument company, we provide all of our families with the essential tools necessary to make an informed decision. We are also pleased to offer some of newest styles and colors in memorial design. 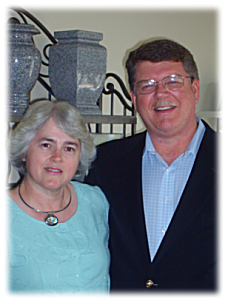 Our founder Steve Carroll is a trained memorialist, educated at the Elberton Granite Association's (EGA) Granite Institute. Locally owned and operated, we design every memorial with care, creating an affordable tribute as personal as the memory it preserves. We offer premium quality, natural granite, marble and bronze products. All of our memorials are hand-crafted observing the time-honored traditions of skilled craftsmen. Our design center is state of the art and affords you the greatest range of designs anywhere. If we don’t have the design you want we can get it for you. Our indoor showroom and display garden is located at 309 South Main Street, King, North Carolina 1.25 miles east of US Hwy 52 / I-74. Call today for an appointment or stop by and visit. We have memorial headstones, tombstone markers, and cremation urns. Our store hours are Monday through Friday, 9 AM to 5 PM, Saturdays 9 AM to 1 PM and evenings by appointment. Call or e-mail us for a printed brochure.